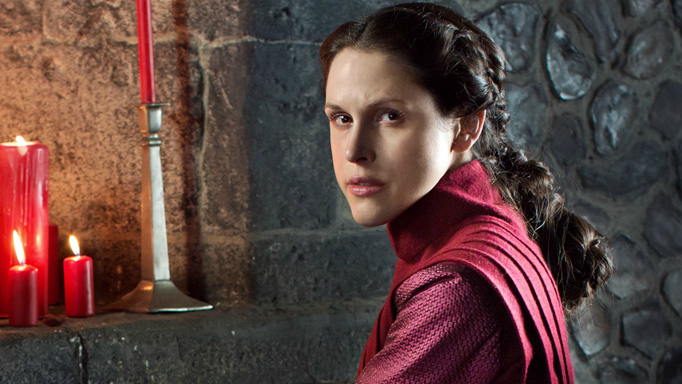 Lady Margaret portrayed by Amanda Hale. Sir Thomas Parr’s father, William, 1st Baron Parr of Kendal, had once been Lady Margaret Beaufort’s revisionary heir to her substantial lands in Westmoreland, known as the “Richmond fee.” Lord Parr married to Hon. Elizabeth FitzHugh, daughter of Henry, 5th Baron FitzHugh and Lady Alice Neville (sister of Warwick). 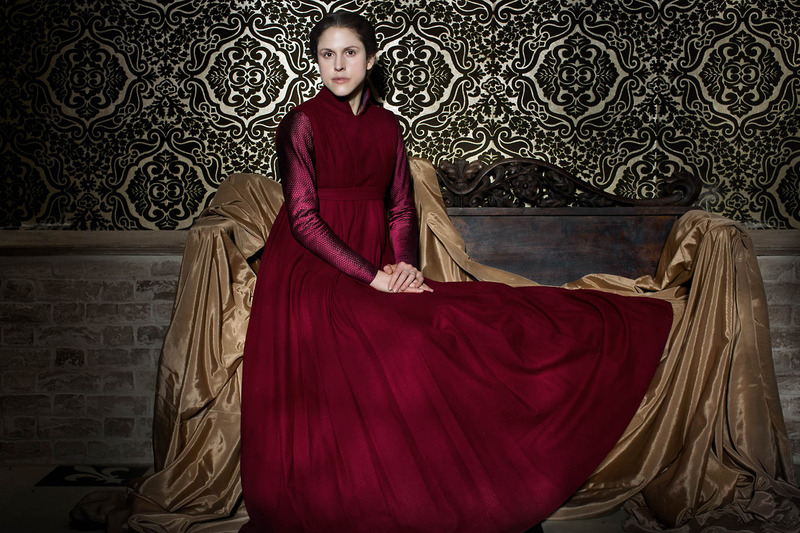 Lady Margaret Beaufort was a double second cousin to Elizabeth FitzHugh, Lady Parr [so she would have been a double second cousin, thrice removed of Katherine]. After the death of Lord Parr, his widow made a marriage with the Lancastrian family, the Vauxs’ of Harrowden. 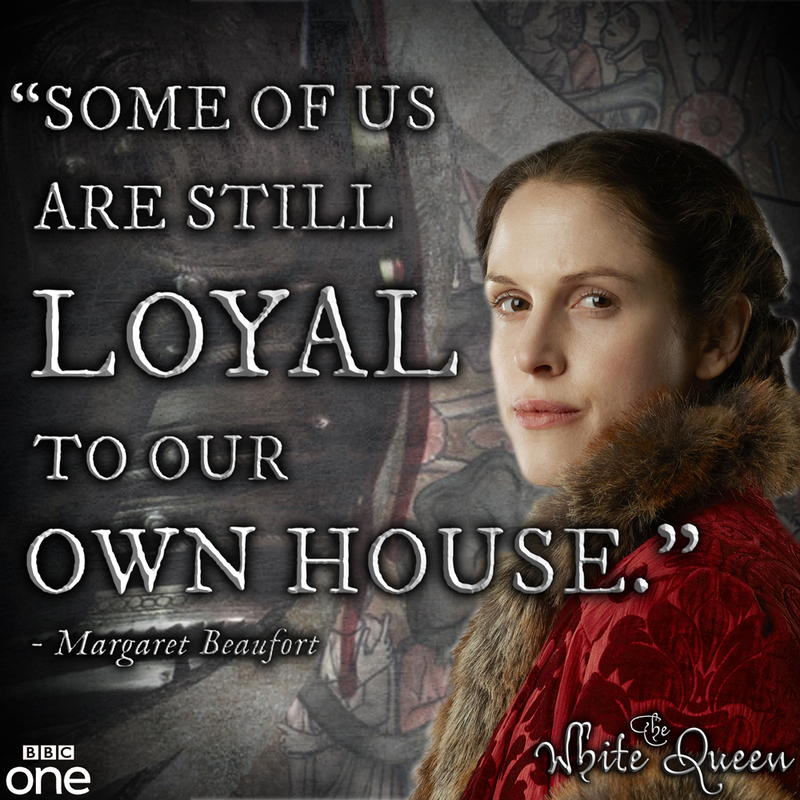 The Vaux family was close to Margaret, enjoying a long-term relationship with her. The previous Lady Vaux, mother of Thomas Parr’s step-father Nicholas, had been lady and friend to the Lancastrian queen Margaret of Anjou. Katherine, Lady Vaux served the queen during her exile. Nicholas Vaux (later 1st Baron Vaux) was a protege of Lady Margaret Beaufort. 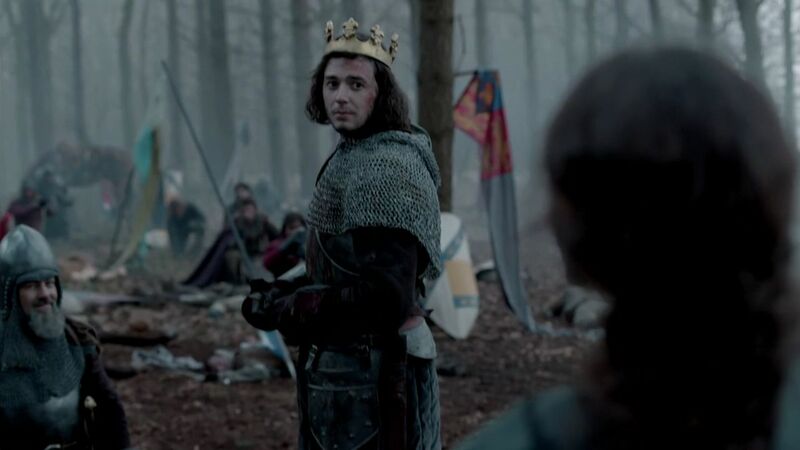 The young Thomas Parr [Katherine’s father and Margaret’s cousin] most likely studied under Maurice Westbury of Oxford who had been installed as a teacher by Lady Margaret Beaufort at her estate of Colyweston. It was at Colyweston that certain gentlemen, including the son of the Earl of Westmoreland [cousin of Sir Thomas], not only received an education but also gained political connections that would prove useful in their future careers. Linda Porter. 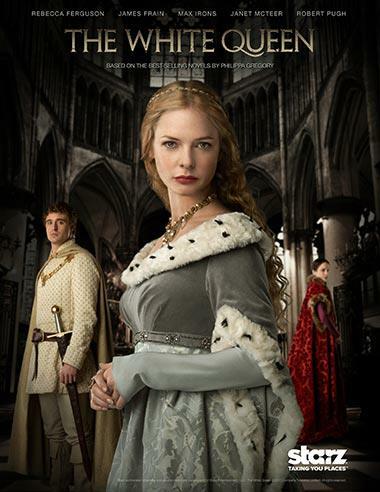 “Katherine the Queen; The Remarkable Life of Katherine Parr, the Last Wife of Henry VIII.” Macmillan, 2010. 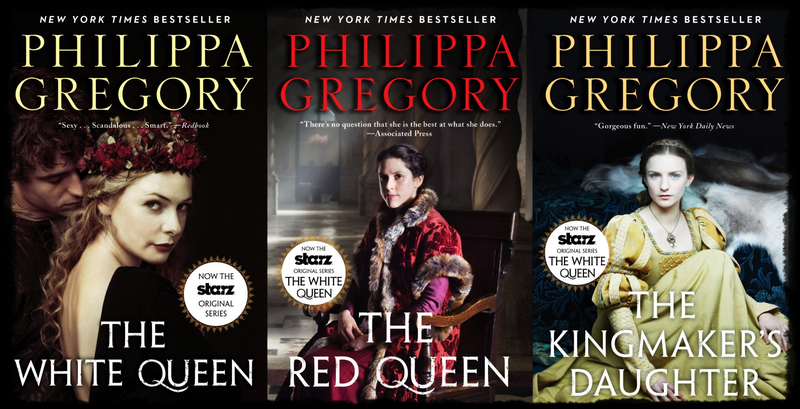 The White Queen covers to promote the series by Philippa Gregory. 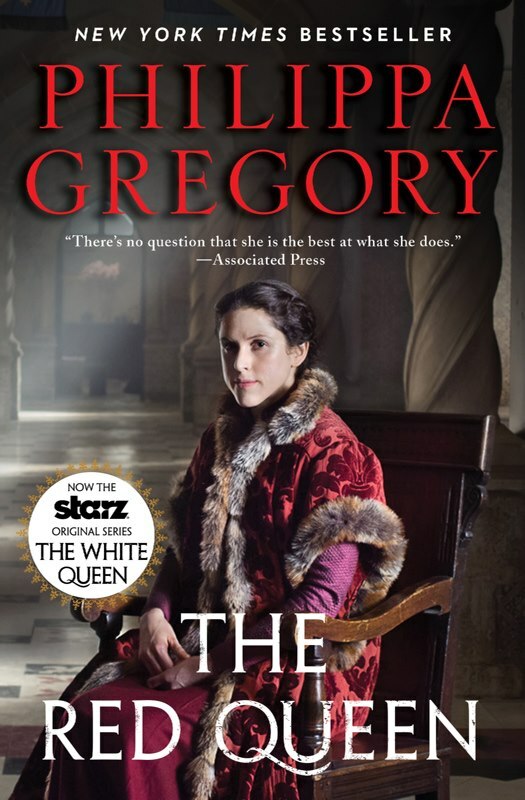 The 3 cousins are coming to tv soon in the BBC Series “The White Queen”; which features Lady Anne Neville (daughter of Warwick, the Kingmaker and later Queen to Richard III), Elizabeth Woodville (mother of Elizabeth of York), and Lady Margaret Beaufort (mother of Henry VII Tudor). All three women were cousins to Katherine Parr. The series will air on STARZ in the US in August. 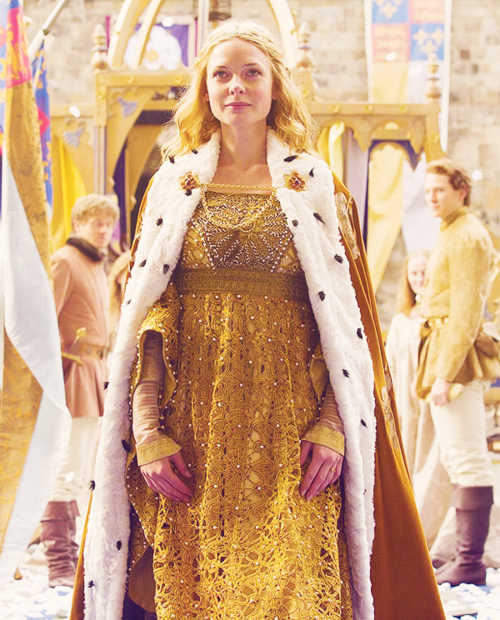 The White Queen Elizabeth Woodville. Lady Anne Neville, daughter of Richard Neville, 16th Earl of Warwick (“Warwick, the Kingmaker”) was a first cousin of Hon. Elizabeth FitzHugh, Lady Parr/Vaux [so she would have been Queen Katherine’s first cousin, twice removed]. 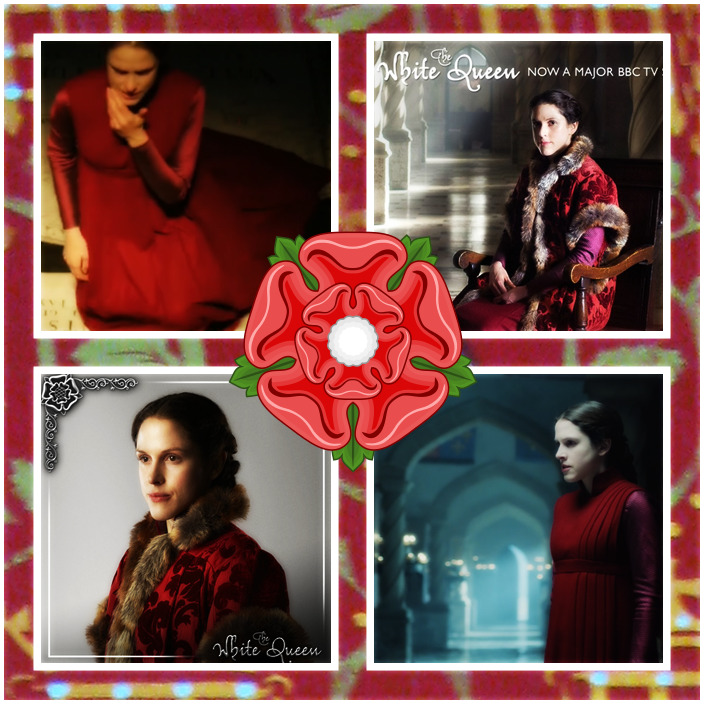 Elizabeth and her mother, Lady Alice [sister of Warwick], were appointed personally by Queen Anne to be ladies when she became queen and participated in the coronation, receiving gifts from Richard III himself. They were close. 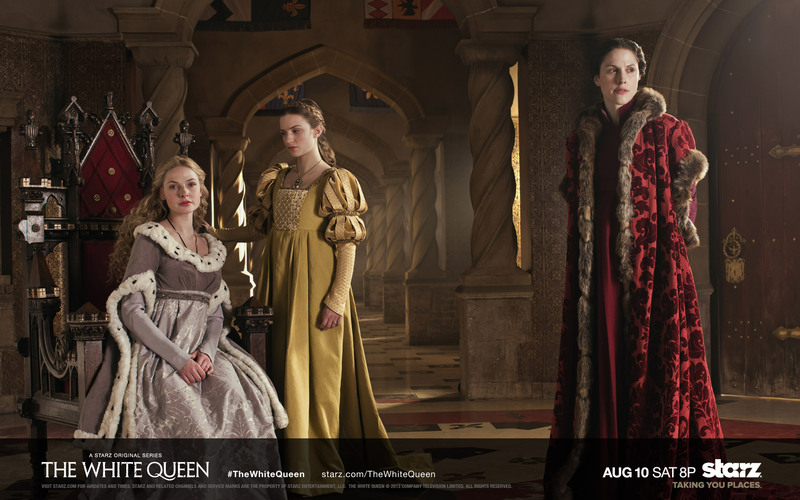 The “White Queen,” Elizabeth Woodville. Elizabeth Woodville was the niece of Queen Katherine’s maternal great-great-grandmother Joan Wydeville [Katherine would have been a first cousin, thrice removed of Queen Elizabeth by her mother, Maud Green]. 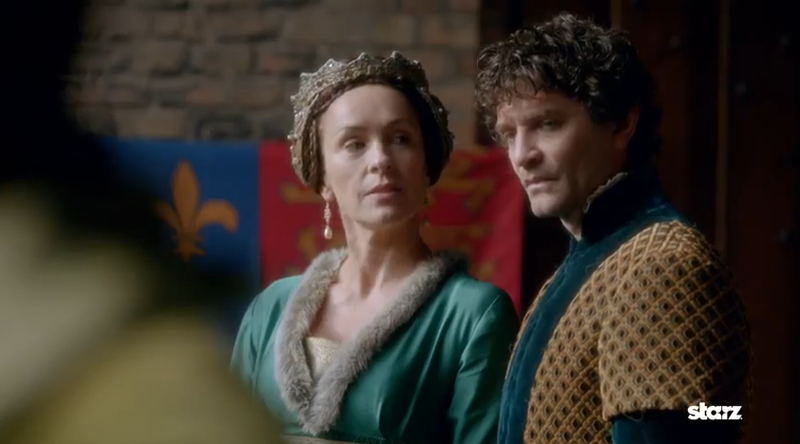 Joan Wydeville married Sir William Haute/Hawte. Their daughter, Alice, married Sir John Fogge. 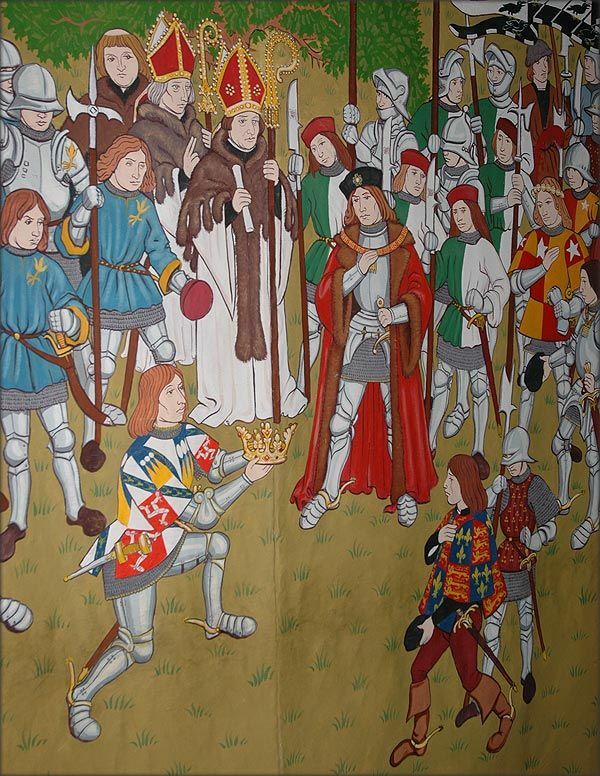 The Haute family which Joan married into was quite prominent during the reign of Edward IV and Richard III. Fogge had originally been a supporter of the Lancastrian king, but in 1460 Fogge joined the Yorkist earls in Kent. 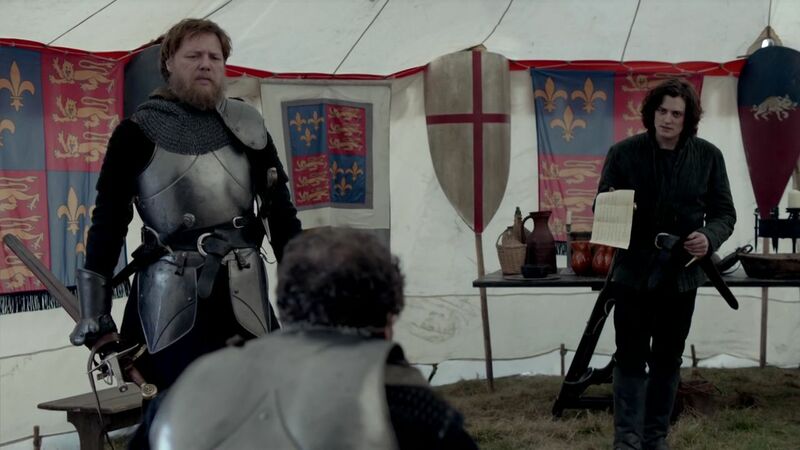 It is obvious however that he was a Yorkist by the families which he married into; Alice Kyriel (daughter of Yorkist Sir Thomas) and Alice Haute c. 1465 who was a cousin of Queen Elizabeth. 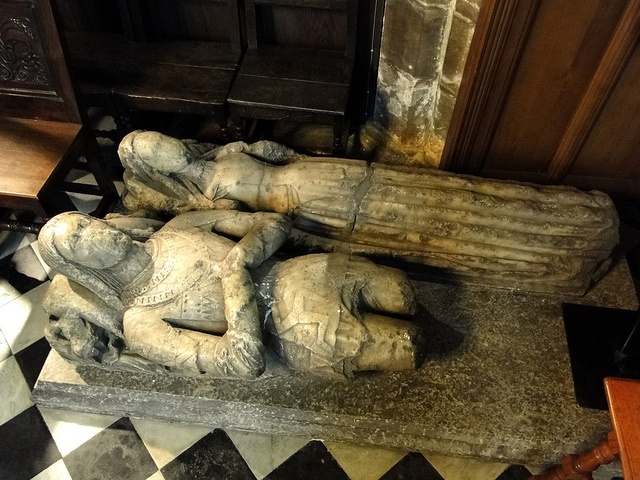 The previous year, Elizabeth Woodville had married Edward. Queen Elizabeth brought her favorite female relatives to court to serve her. Lady Alice Fogge (Haute) would be one of five ladies-in-waiting to her cousin, queen consort Elizabeth Woodville during the 1460s. The other ladies included her sister Lady Anne (wife of William Bourchier, Viscount Bourchier and George Grey, 2nd Earl of Kent) and her sister-in-law Lady Elizabeth Scales (wife of Sir Anthony Woodville, 2nd Earl Rivers). Patrick Munn for TV WISE. 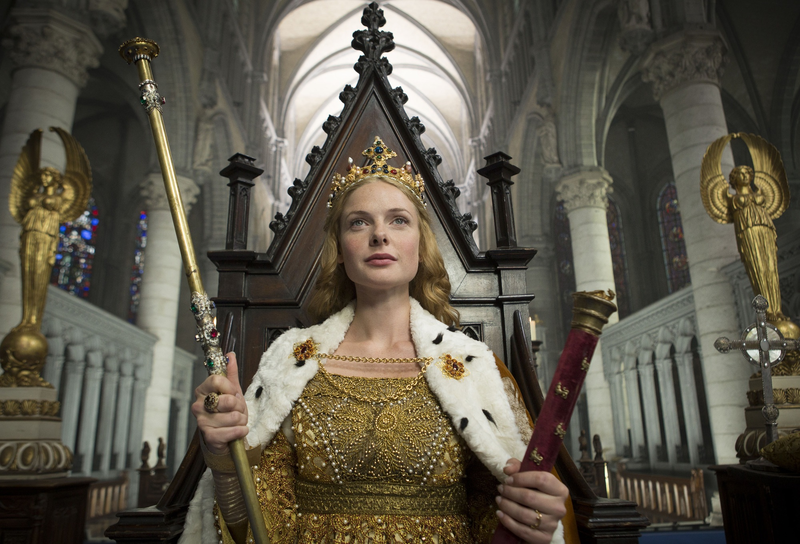 “First Images: BBC One/Starz Historical Drama Series ‘The White Queen,'” 20 November 2012.